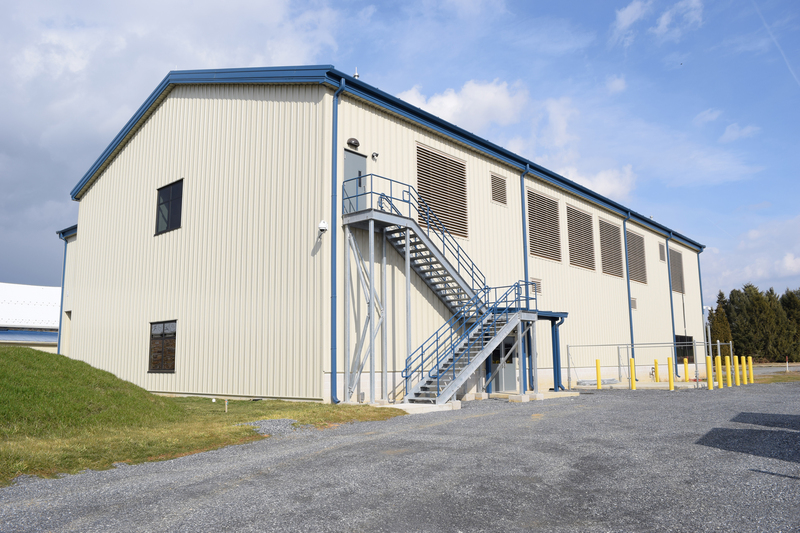 Building U at Eurofins Lancaster Laboratories, Inc. is a highly customized pre-engineered metal building with a structural steel second floor. 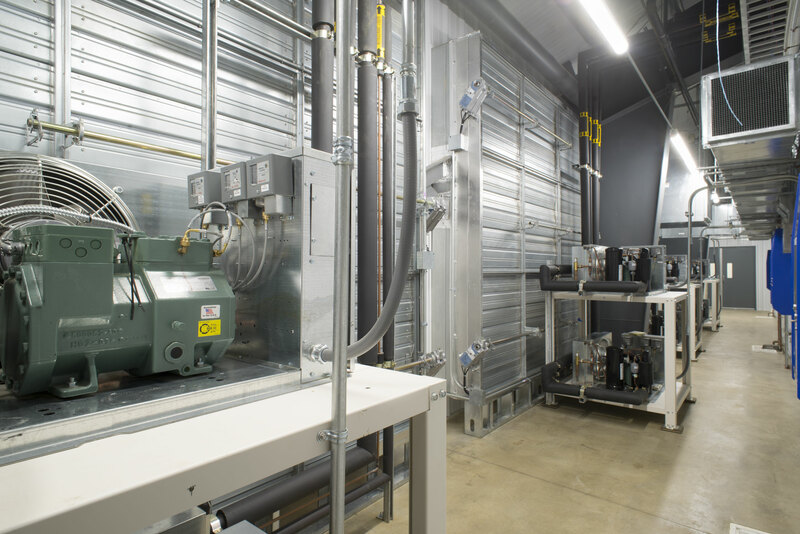 It was designed by to provide climate controlled sample storage in support of a pharmaceutical testing laboratory on the campus. 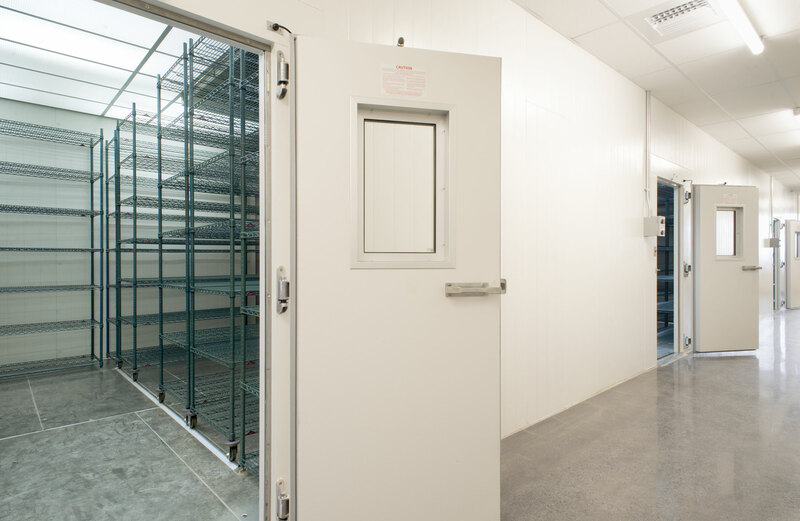 Building U contains multiple storage chambers which are able to provide a variety of temperature and humidity conditions. Building U features internal mechanical mezzanines along its perimeter to house dozens of condensing units which maintain conditions in the storage chambers. The condensing units on the mezzanines are protected from the elements, provide easy maintenance access and are able to reject their heat through a series of temperature controlled louvers on the exterior wall. The climate conditions of each storage chamber in Building U are able to be controlled independently of the other chambers in the building. Temperatures can vary from room temperature to -80 degrees Celsius. The pre-engineered metal building was also customized to include a dedicated shipping and receiving area for Building U. 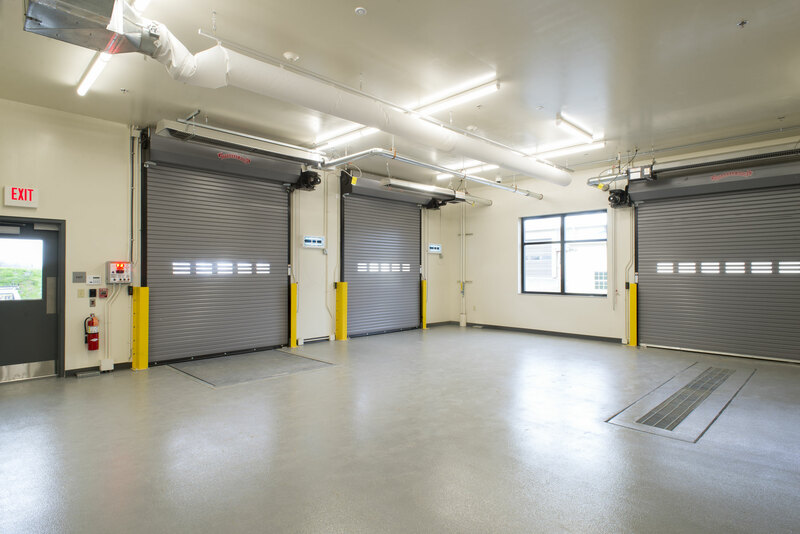 It features three overhead garage doors, an elevated loading dock, dock leveler and on-grade access. 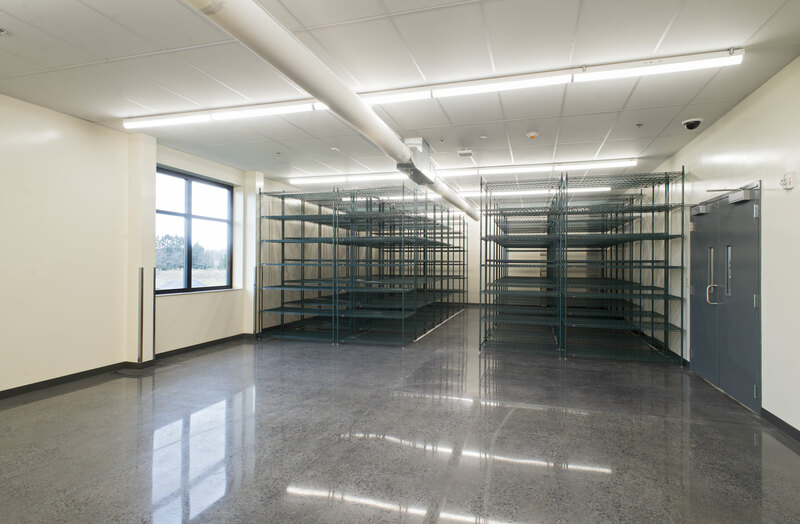 The room temperature storage area features rolling racks for high density storage and duct sock HVAC distribution to provide consistent temperatures throughout the space.